Beekman is a large town located in Dutchess County, New York. NY Routes 55 and 216 go through Beekman. If you were pulled over for speeding, or for committing any other moving violation, on one of these roadways, you should speak with a qualified traffic attorney immediately. Never assume you are guilty of a traffic offense in Beekman, NY simply because a police officer gave you a ticket. Talk things over with a knowledgeable New York traffic lawyer before you think about pleading guilty or paying a fine. If you’ve been ticketed while driving through Beekman or anywhere else in Dutchess County, NY, you have a legal right to fight the charges. An experienced attorney can potentially assert legal defenses on your behalf and help you avoid the most serious penalties. Depending on the circumstances of your traffic stop, you may be able to provide testimony in court to challenge the police officer’s probable cause for stopping you in the first place. What can I Expect in Beekman Traffic Court? Pre-Trial Negotiations: As soon as you contact me, I will begin working on ways to fight your traffic ticket in Beekman Traffic Court. Before your case gets to trial, I will negotiate with the prosecutor and the patrol officer who ticketed you and try to work out a favorable deal on your behalf. I am often able to secure reduced charges and a moving violation downgraded to a non-moving violation such as improper parking. This kind of traffic offense downgrade can save you from accruing points on your driver’s license and potentially losing your license. If your traffic is serious, such as a high-speeding violation or drunk driving, I will do whatever I can to get the charge reduced to a lesser offense. Moreover, if you were cited for more than one traffic violation on the same ticket, I may be able to get the violations merged into a single charge. Trial in Beekman Traffic Court: If we can’t work out a favorable plea deal with the local prosecutor or police officer, I will prepare your case for trial. I live to beat prosecutors in traffic court. I understand the nuances of NY traffic law and I know how to get creative in the courtroom and raise strong legal defenses on your behalf. Whether you were ticketed for a minor speeding offense or something more serious, I can potentially challenge the evidence, investigate the road conditions and cross-examine witnesses to help you beat your charges in court. Don’t let a traffic ticket keep you up at night. 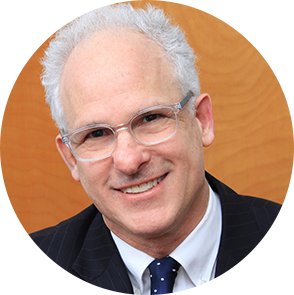 If you’ve been charged with speeding, drunk driving or any other moving violation in Beekman, New York, Jonathan D. Katz, Esq. can help you. I have 36 years of experience defending clients against traffic charges in courts throughout New York, including Dutchess County, Orange County and Ulster County. Call me now at 866-938-8498 to discuss your legal options or schedule a consultation at my New Paltz, NY office.